Bismart is made up of a team of talented experts who dedicate all their efforts and knowledge to achieving disruptive innovation that will improve the general well-being of society. Therefore, we want to be the engine of a change in society that will facilitate the life of people of all ages and their integration into a smart city. Bismart is a company with an enormous development capacity, which allows it to carry out projects of all sizes and in all sectors. Data is the means to achieve this, but it is necessary to have a team of qualified people with an intrinsic high motivation like Bismart's to always guarantee an excellent work within the constantly changing world in which we live. 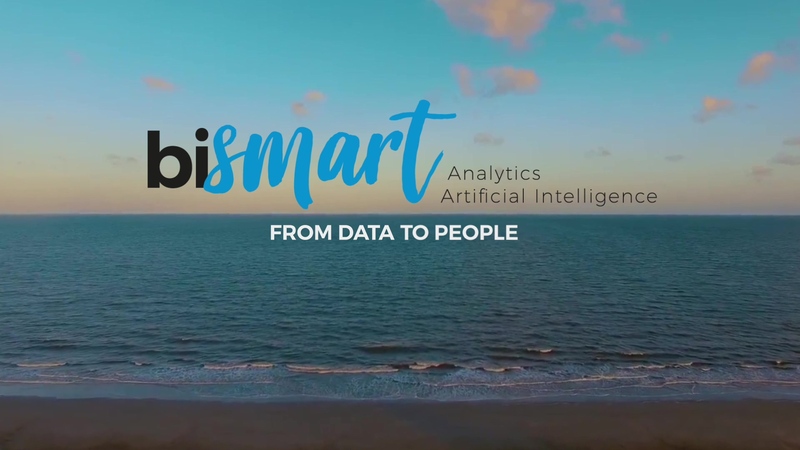 In a present dominated by the fear that artificial intelligence will replace humans, at Bismart we want to use this technology for the good of all people. Artificial intelligence and data analysis allow us to offer solutions that improve the quality of life of the elderly or sick, to detect situations of poverty and social exclusion, to know where and when road accidents will occur in order to deploy the forces of authority that can prevent them, etc. Bismart is a project, the dream of being at the forefront of technological innovation and offering solutions for all sectors while keeping our feet on the ground and using it, too, to help those who need it most. This dream has been recognized several times by important organizations and entities in the technological field, such as Microsoft or IOT Solutions World Congress, as well as with awards such as the Premi Barcelona Ciutat Emprenedora. Although we have always wanted to improve people's lives through data, we have now decided to represent both aspects of our project in our new brand: data and people. Bismart wants to be a human company that can offer benefits for the quality of life and health of people, as well as always taking into account that its employees have the best working conditions. So, as we have done in previous years, we have launched The Best Place to Work project, which is an investment by Bismart to ensure that the company has the right environment for all employees to develop both professionally and personally. For all these reasons we are proud to present our new branding on the web and our new logo, which we hope will represent all the values that Bismart stands for. Bismart. From data to people. Thank you for joining us all these years and we hope you continue to be by our side in this new stage.